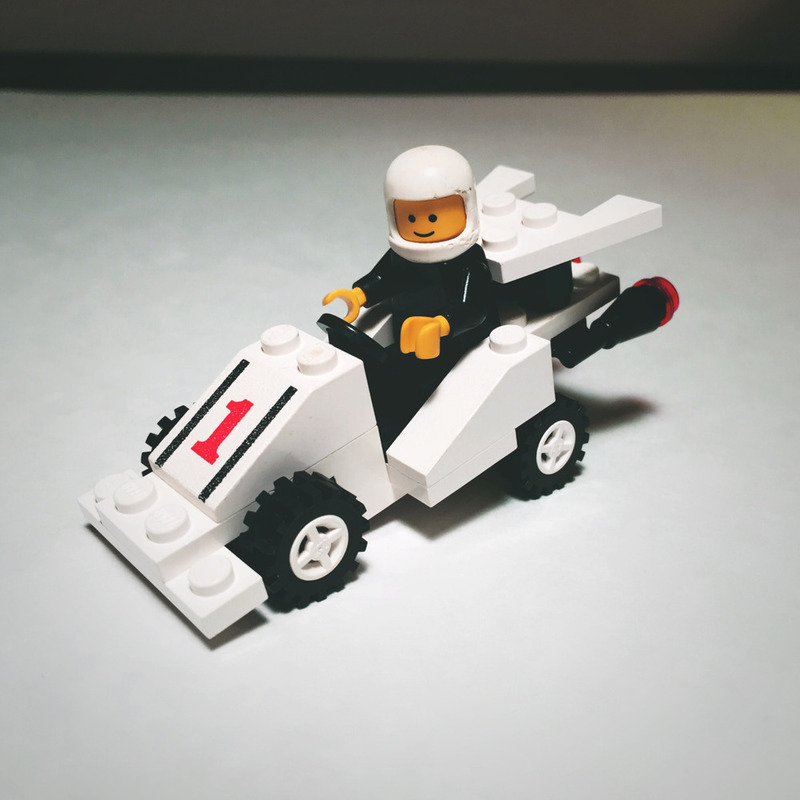 The Formula 1 Racer LEGO set was originally released in 1985, and, for me, it drags with it a ton of nostalgia. There are the obvious reasons why. I was a child of the 80s, and consequently I began my LEGO journey as a child right around the time this set was released. 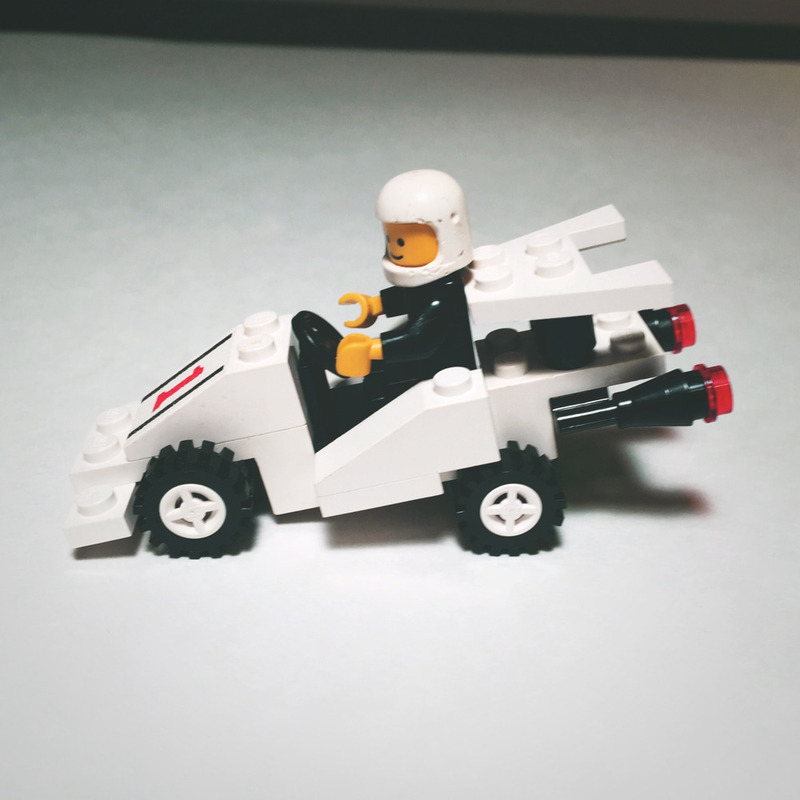 As a result, the look, feel, and design of the Formula 1 Racer inevitably reminds me of that golden moment in my life when I was a child and my daily agenda was comprised mostly of care-free LEGO-building [and way too much Duck Hunt]. There is another reason, however, why this set in particular holds such a powerful and romantic nostalgia for me: it was the very first LEGO set I ever owned. This is the set which launched my love for LEGO and the memories LEGO would provide me for the next three decades and counting. Additionally, - putting all that nostalgia aside - this mid-eighties small race-car set [only 31 pieces in total] is pretty sleek for its day. What I love the most about this simple set is the angle of the car when viewed from the side. The tail-end of the car is slightly higher than the front. 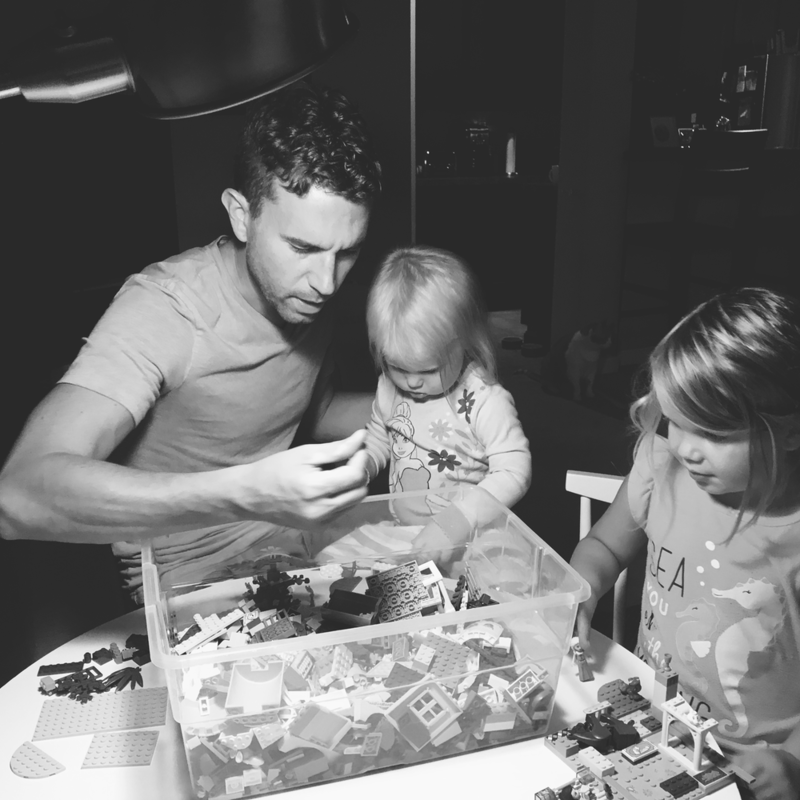 It gives the model a unique quality when you compare it to other small LEGO cars of the same period. Although I enjoy the upward angle of the design from front to back, it does seem a bit strange that LEGO incorporated such an upward angle into their design, given that the body of formula 1 racing cars are typically very low to the ground. Yet, I think it’s this exact divergence from reality which makes me enjoy the set so much. The aesthetics of the set almost make it look like it’s not a modern 80s race car, but instead a race car which is about to park at a LEGO Space base [how awesome-80s is that?]. The spacey exhausts at the back makes it look like the car might lift off and fly away at any moment [”Roads? Where we’re going we don’t need road”]. At first glance, this minifig [especially by today’s standards with the wonderfully detailed prints we get today] seems…well, blank. There is really not much going on here. The helmet is one color, no printing. 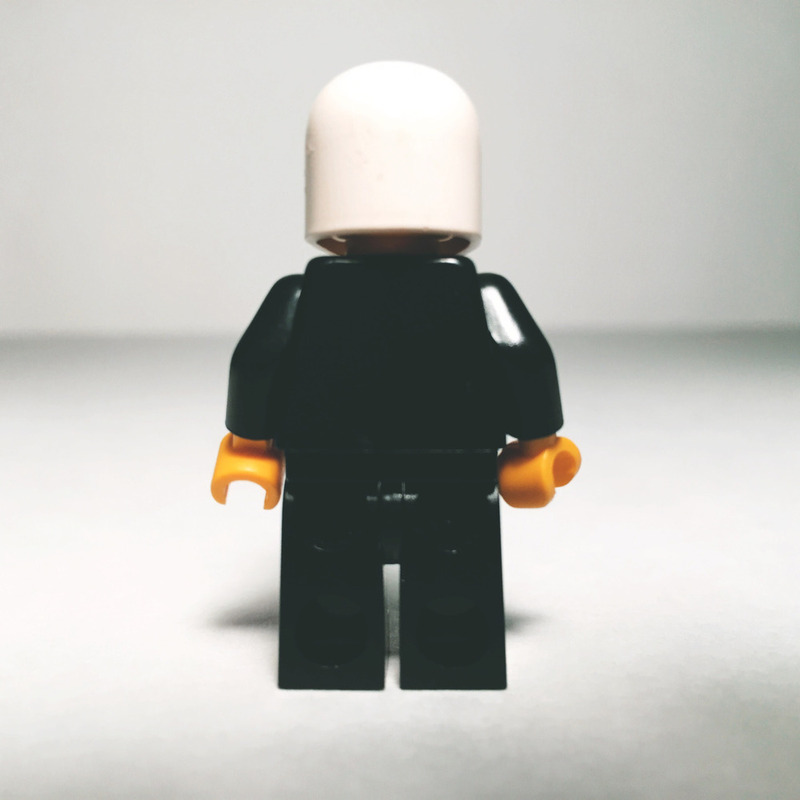 The torso and legs are one color - a solid black, no printing. Still, when the minifig is placed within the car, the minifig creates a perfect broad, dark contrast to the rest of the set. The formula 1 racer consists of small strokes of black here and there, but it’s the minifig - with it’s solid black body and cooperative white helmet - which makes this minimalistic set feel complete and aesthetically alluring. As far as mid-eighties, small LEGO race-car sets go, this is pretty ace. The design is beautifully minimal, the addition of the slight upward slope from the front to the back gives it a unique feature for 80s LEGO race cars, and the set looks great from every angle. Yes, the minifig is a bit overly-minimal, but I think it’s exactly what this set needs. The monochrome black body of the minifigure acts as a large black brushstroke which only adds to the set’s minimalistic brick poetry.